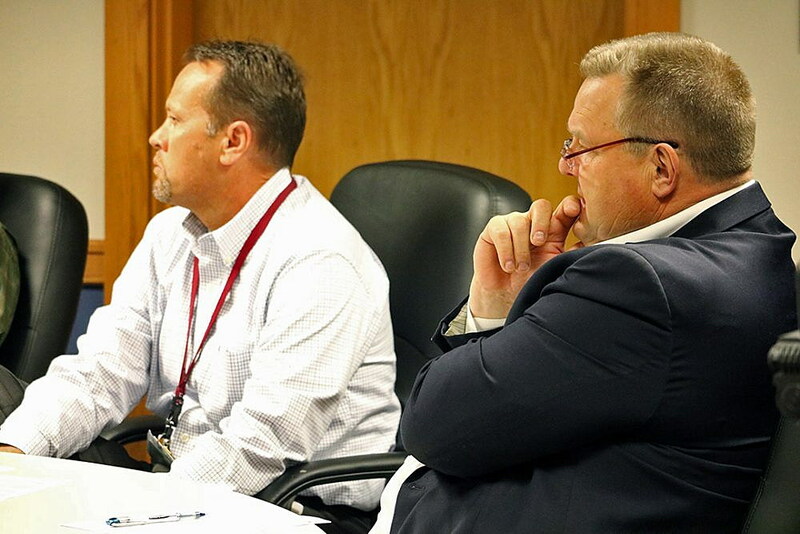 Sen. Jon Tester sat down with Missoula International Airport officials on Wednesday to review their plans for a $111 million construction project that will result in a new eight-gate facility with room for expansion roughly seven years from now. 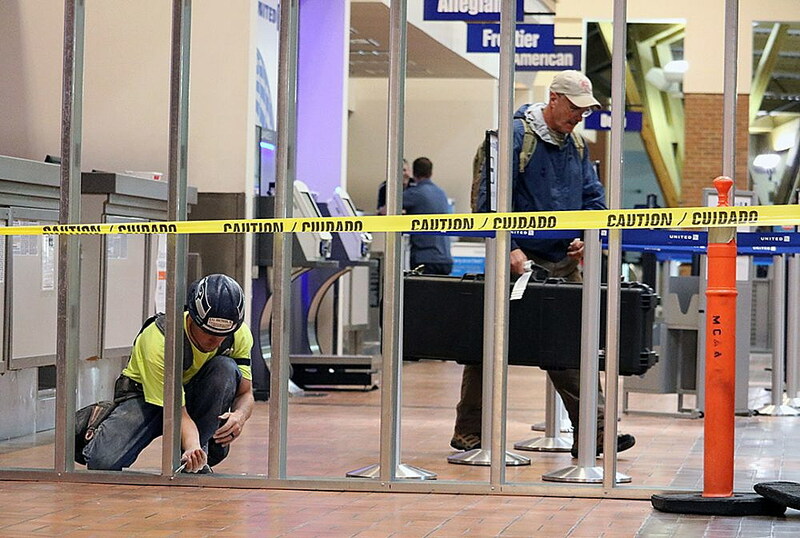 The project, which indicates Missoula’s wider economic growth, was already under way when Tester arrived on a connecting flight from Minneapolis, with crews preparing the lobby for TSA’s relocation and a ground-floor gate to help ease crowding once demolition begins in January. The project will unfold in phases starting this month, as TSA relocates to the main lobby and construction begins on a new road accessing the terminal’s reconfiguration. Demolition work will begin in January, followed by vertical construction in late 2019. That will result in five jet gates and a new south concourse, at an estimated cost of $67 million. Once occupied in 2021, demolition will begin on the existing terminal, followed by the construction of the east concourse with three or four additional gates. The entire project is estimated at $111 million and is expected to take five to seven years to finish. The project received a welcome boost earlier this month when Tester helped secure $8.7 million in discretionary funding from the U.S. Department of Transportation. That exceeded what airport officials had expected, and it will enable the project’s initial phases to more forward faster and without taking on debt. Still, Jensen told Tester, the larger project remains contingent on funding, and when that funding arrives. Jensen said the airport budgeted roughly $11.6 million in discretionary funds and around $15 million in entitlements, which are based on enplanements and other growth factors. If that funding is realized, the airport will likely incur around $30 million in debt when building the south concourse. The debt will be repaid through airport revenues, reserves and passenger facility charges. With larger aircraft and more destinations, Missoula International has set new passenger records in each of the past few years, including last year’s record of 772,000. It’s on pace to exceed that figure once again, and while the terminal project will take years to complete, getting it started can’t happen fast enough, airport officials have said. Growth in the state’s air service is good for the economy, Tester added. Tester said the project is badly needed in Missoula. Sen. Steve Daines also has helped secure money for the project.